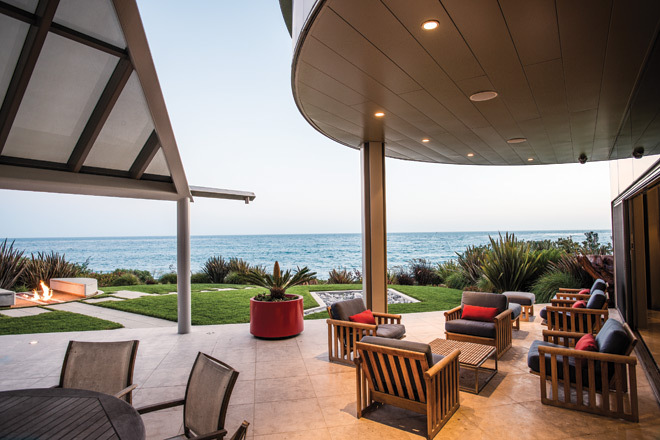 From the beginning the house had to accomplish three things: drink in as much of the ocean environment as possible, have large walls on which to display art, and include a special chamber in which the owner could listen to his 25,000-record collection. 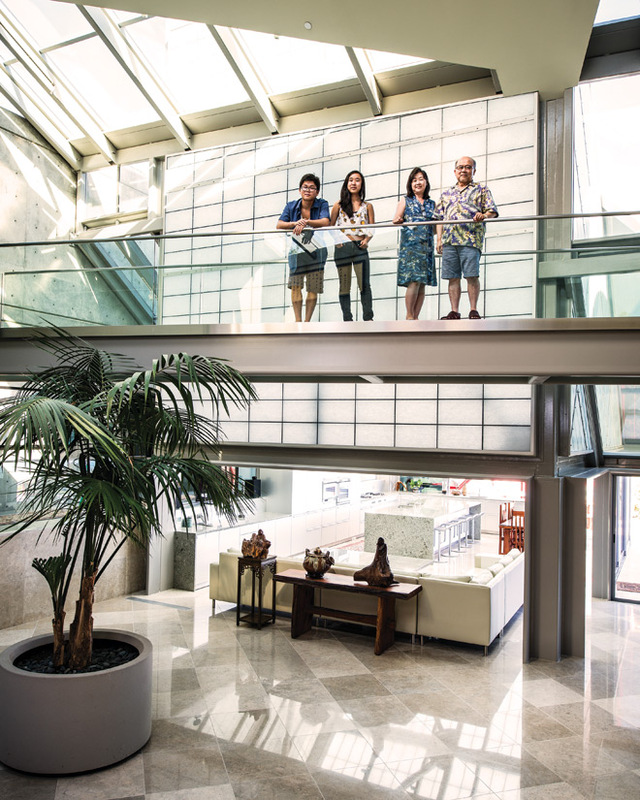 Dr. Wei-Tzuoh Chen, who uses the residence as a weekend retreat from his work as a Central Valley kidney specialist, sought a modern setting (he grew up in a contemporary home in Taiwan). But he also desired a connection to his culture. Architect Ed Niles tapped into the shoji concept of translucency, fashioning a ceiling and walls for the kitchen-living area from fiberglass panels that transfer light inside. He also used glass throughout the house to create changing patterns of light and shadows. “It’s like living within a three-dimensional painting,” says Niles. 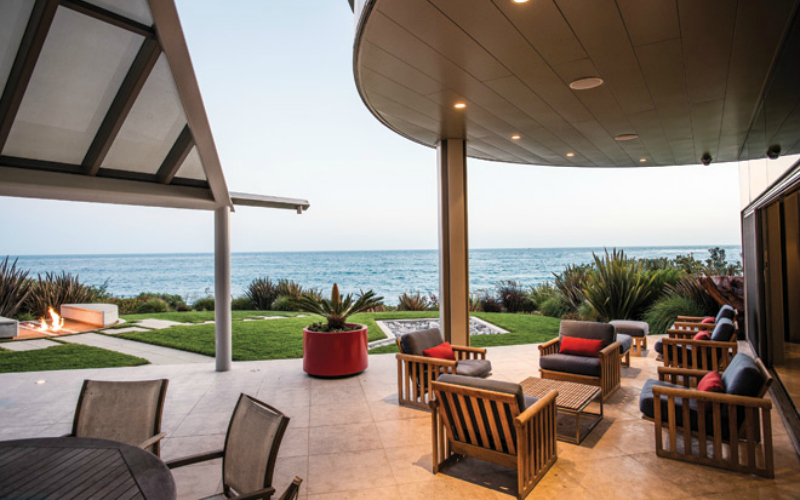 Because the house backs into a bluff, Niles was able to embed the music room in the hillside, sealing it off against vibrations and noise from PCH. Elsewhere the house opens up like a sun-loving flower: The master bedroom has a dramatic curved wall of windows, and his two children’s bedrooms on the second and third floors boast their own terraces. “The Taiwan climate is not unlike that of California, so the outdoors was always a big part of the design,” says Niles. From left: Ethan, Eryn, Carrie, and Wei-Tzuoh Chen on a bridge connecting the bedroom suites. In the background beneath them is the extensive kitchen-living space. 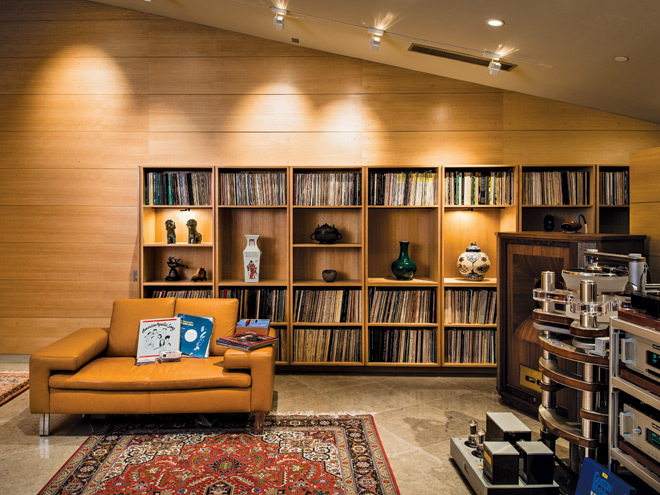 Pieces from Chen’s art collection are displayed among the thousands of records he’s amassed (largely classical music), a passion that started in medical school. 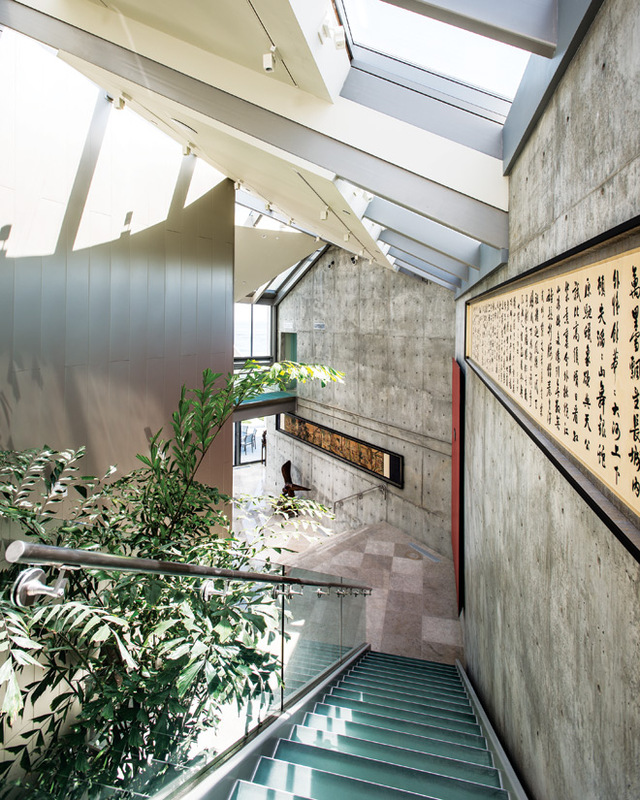 Above the upper stairway is a framed poem by Guo Moruo, a leading writer of 20th-century China. Along the lower steps is a court painting from the Ching dynasty. 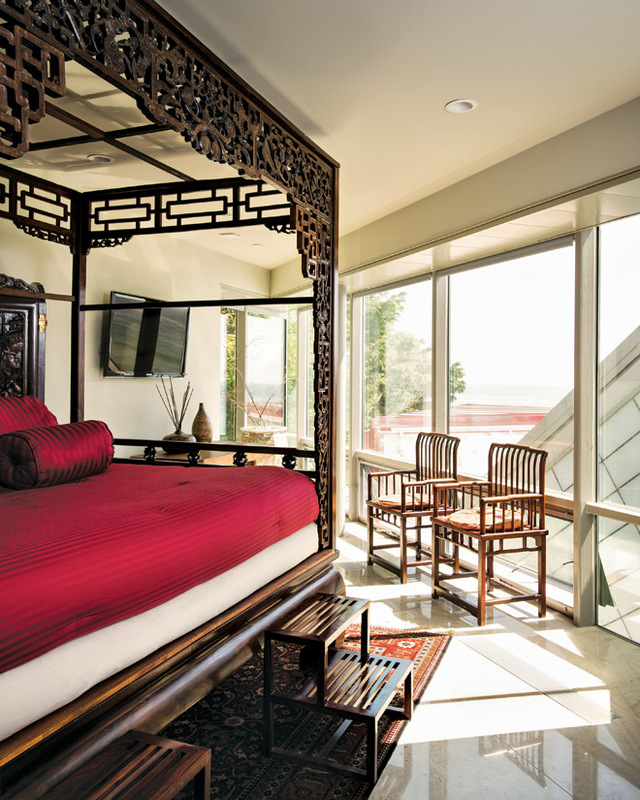 The sandalwood bed, carved during the Ching dynasty, offers sweet dreams in the guest bedroom, which also features a swath of marine landscape. 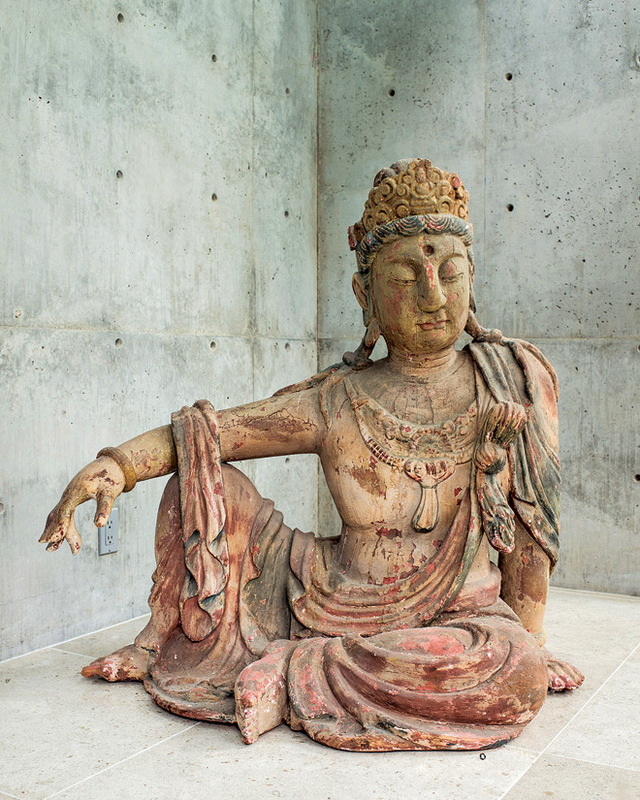 The Buddha is an antique from southwest China. While Chen’s art is primarily Asian, it also includes a large DeWain Valentine painting; he swapped a Rolls-Royce for the piece.